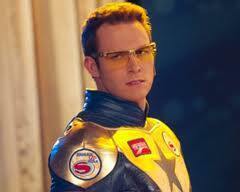 A project involving Booster Gold may still be in the works from DC Entertainment. Booster Gold was a TV pilot for Syfy that never ended up happening, despite having names like Arrow’s Andrew Kreisberg and Greg Berlanti involved, and more recently, rumors surfaced that DC Entertainment and Warner Bros. are doing a Booster Gold/Blue Beetle buddy movie. Our sources indicate that Booster Gold is not the “mystery hero” at the end of Legends of Tomorrow Season 1… though, whatever plans there may actually be for Booster, we are excited and curious. Could a Booster Gold TV show still be in the works? We can only hope.